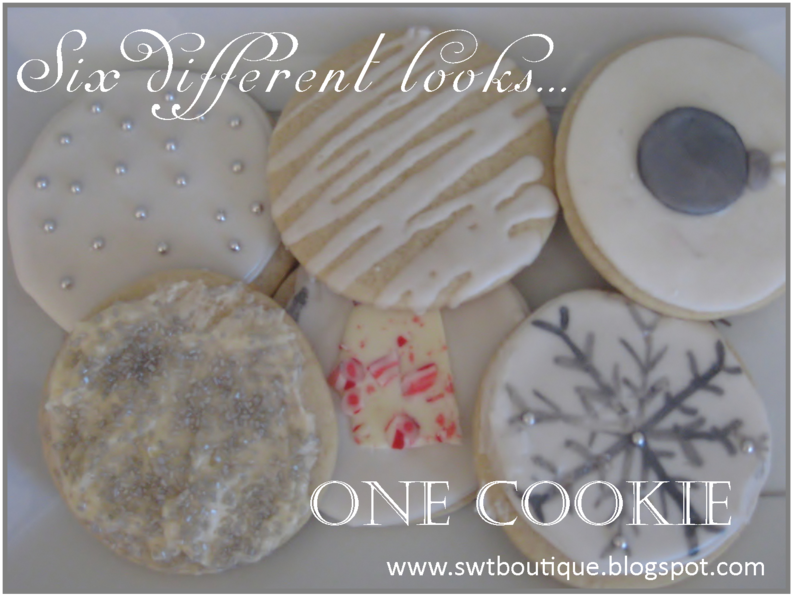 I know you guys are thinking, boring...a sugar cookie, really? But, just hear me out on this one. 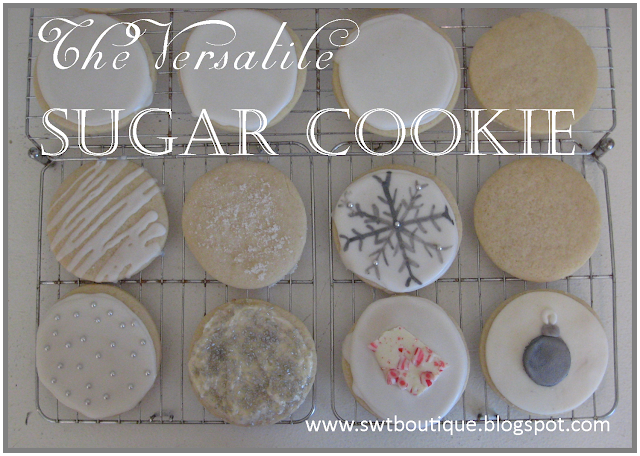 Not only is this the BEST sugar cookie recipe I have ever tried, just look what you can do with it. Basic becomes beautiful with just a little effort. I chose several different looks to share with you today. Top left: Royal icing topped with silver dragees. Bottom right: Royal icing with a hand painted design topped with silver dragees. 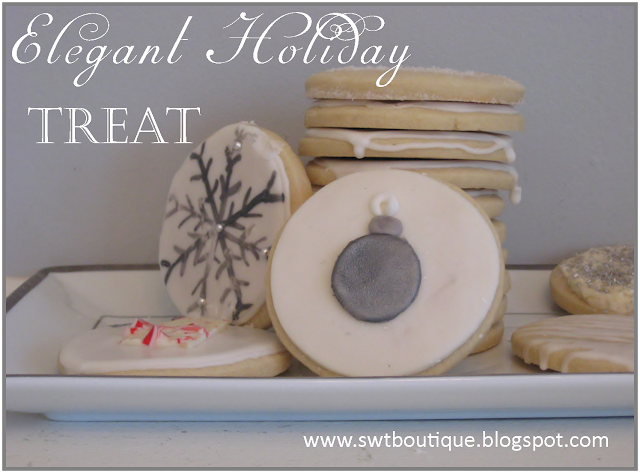 When put together they make an elegant, special, and delicious holiday treat. In a bowl sift together flour, salt, and baking powder. In a mixing bowl cream butter and sugar until light and fluffy. Add egg and vanilla and mix until combined. Add half of the flour mixture and mix until combined. Add the other half of the flour mixture and beat until combined. I wrap the dough in plastic wrap and chill for at least an hour. Roll out dough to 1/4 inch thickness. Cut our cookies to desired shape and bake at 350 for 10 minutes. 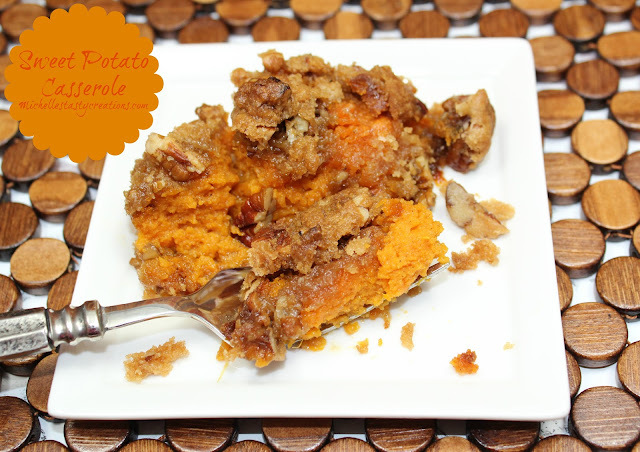 Opps, I posted the recipe that I put on your party last week. I hope that is ok! It's the only cookie I have made in a while. If not, just take it off!! 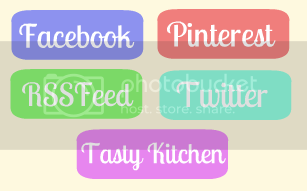 :)And I'll find another recipe that I posted. Sorry mine isn't a cookie recipe, so please take it off.